“Everyone has the right to freedom of opinion and expression; this right includes freedom to hold opinions without interference and to seek, receive, and impart information and ideas through any media and regardless of frontiers.” Well, all right, it’s not hypocritical hyperbole; but rather, an integral part of the UN’s “Universal Declaration of Human Rights.” And, the reason I bring it up is not for love of idea or ideology; rather that the sentiment seems to lack a certain appeal to defenders of human and other rights in the blessed isle over which the sun is shining again. 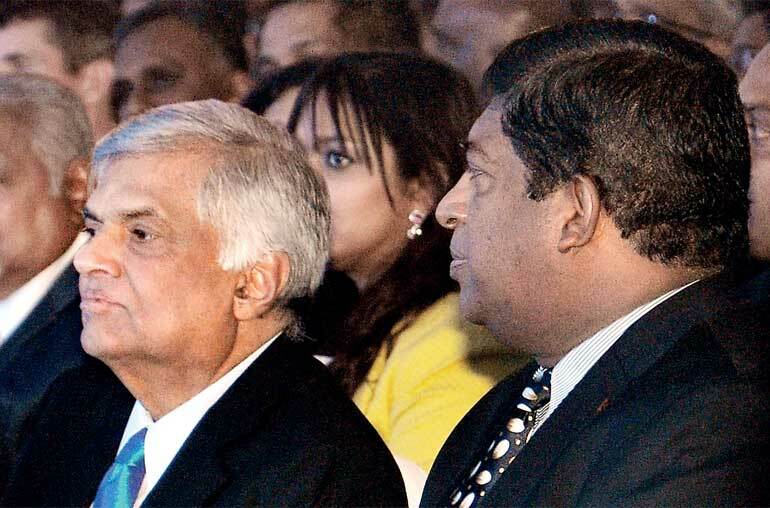 That political stability is bringing in plenty of support from stakeholders of Sri Lanka on the macroeconomic front. YES. That this renewed and revitalised interest in our island-nation’s growth, development, progress, would suffice to dispel the rain clouds under which we have laboured so long. FALSE. That over and above (or least in tandem with) international investment inflows, there must be a more sterling commitment to transitional justice and all its trappings by our stalwart constitutionalists. TRUE. True to form, the powers that be remained silent. At least, as far as one could tell… Being apathetic to critical engagement and agnostic to anyone outside the ranks of Tuscany who seem to have the national interest as much at heart as themselves has for too long been the prerogative of our pathetically myopic patriotic leaders! Be that as it may, the hound-dogs and the hyenas who pass for the hosanna-chanting hallelujah chorus of our present mix of political masters didn’t hold their peace. Perhaps predictably, they took umbrage against the circus which provides some of them with their daily bread. For daring to raise a voice in the wilderness that is the free media and shake a clenched fist at the war they make and call it a just peace, sweet reason seemed to desert even my erstwhile friends in the former palaces of justice and righteousness. For impugning the motives of the Mikado and his Lord High Poo-bah – to say nothing of the mandarins who swim like minnows in a small pond filled with sundry sharks – my interlocutors on social media skewered and spit-roasted me: a minnow in the larger scheme of macro matters. My reply was greeted with mixed feelings. The spin-meisters said that I should please excuse their enthusiasm for the prosperity gospel because they’re the “glass half-full” kind of people (or drained to the dregs, so that to the world they seem full of it). Some counter-propagandists who saw the value in critical engagement encouraged myself and other gadflies like me to persist with the point, counterpoint; because government – like too many other avatars of a few good men doing their own things – is often able to accomplish their agenda through “smoke and mirrors”. Since quoting others works for me, let it suffice for you also, dears! If the powers that be – to say nothing of their propagandists and spin-meisters can’t see that, don’t want to, won’t, then we’ll be all harbouring doubts (of the return to power of the Humbugstota port clan?) till kingdom come. Better if the best of the bad lot – the democrats – buckle up, bite down the bile in their rising gorge, chomp on the bullet – and admit that even gadflies like yours truly have a place in their burgeoning economic miracle. If it goads them… good… for maybe the Mikado at least might realise that we’re on the side of the angels! Under the Grand Panjandrum of the bad and ugly past, sticks and stones would break our bones, those of us who expressed dissent which degenerated into dissidence, even if our heads were bloody but unbowed under the bludgeoning of law, mobs, hit squads. Under the rule of men more peaceful and peaceable if not justifiable, words can only hurt… us – and them… but the problem is that in a dispensation where difference of opinion is still treated as treason, nothing transformational can take place in the old political culture leave alone a new social contract.